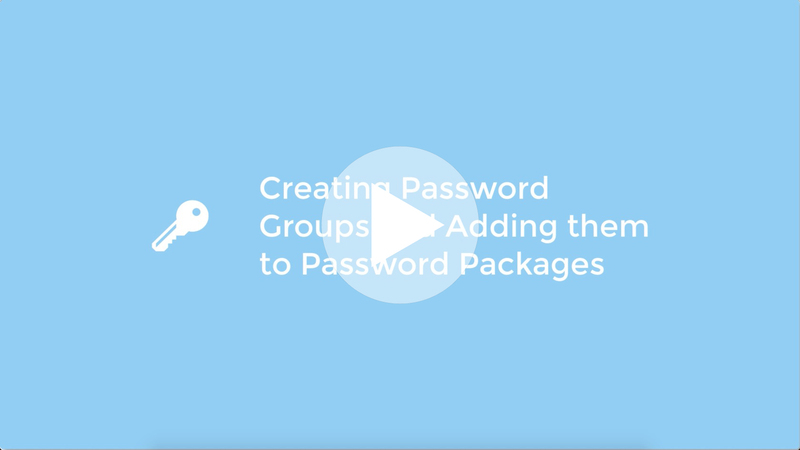 Once you have created a Password Package you can add 1 or multiple Password Groups to the Password Package. Each Password Group can have different variables such as Expiry Periods as well as amount of allowed views and if it's valid for 1 or more videos. If you want to check out some Password Restriction Demos and extra information please visit our Password Protection information page. Password Group 1: Unlimited access. On the right hand configuration panel you will now be able to select your chosen configurations for the Password Group. Password Group Name: Give the group a title. Enter any tags that help you identify the tickets internally at a later stage. 🔘 Random: Generates a chosen amount of random passwords. 🔘 Custom: Enter a single password you would like your viewers to use to gain access. To save your Ticket Group and Generate Random Passwords when Random is Selected simply click on the green ✅ Save button below. You have now created a Password Group and added it to your your Password Package. You can now set your videos, media files as well as playlists to Password Protected.